Art. 1. 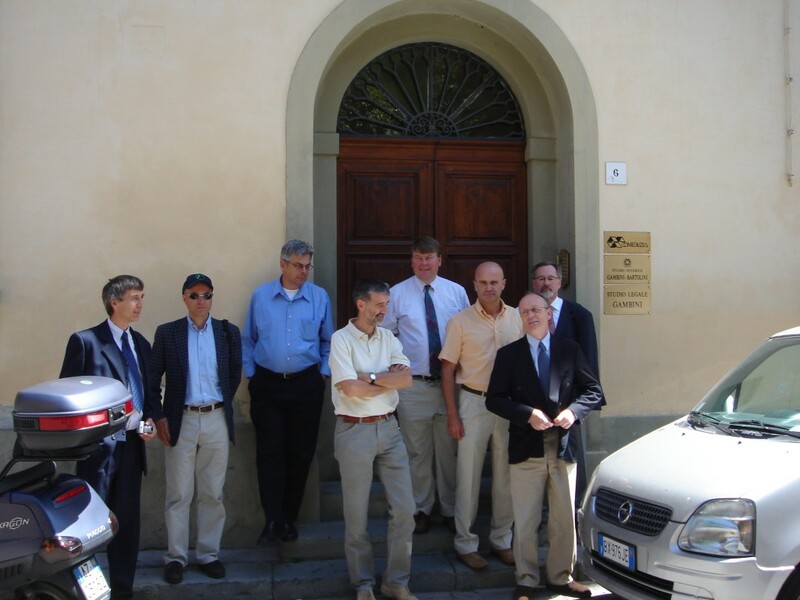 The EUROPEAN TURFGRASS SOCIETY (ETS) is founded. It is a free, apolitical, perpetual, no-profit Association, regulated by the Titolo I Cap. III, art. 36 of the Italian Codice Civile and by the present Statute. To provide a forum for private companies and experts (green keepers, technicians, researchers) having as subject the Science of Turf, to exchange ideas and develop synergistic partnerships Europe-wide (EU and non-EU) and ultimately enhance funding opportunities for research. To Spread innovative applications for the benefit of (a) the turf grass industry, (b) governments, and (c) the European public. To encourage a ‘systemic approach’ to the study of turf grass, where multi-disciplinary teams approach turf roles and functions at different levels, from genetic studies to investigations of the whole ecological system. To consider turf knowledge in its broadest sense, viz. functional areas of sport and leisure, its role in the urban quality and in mitigation of environmental alterations. Develop a strong ethos for research to increase and promote sustainable, low input systems and solutions according to a conscious use of not renewable resources. Art. 3. The Association ETS, in pursuing its mission, promotes every activity in order to achieve the goals listed in the article 2., giving continuity and coherent planning. The activities include the collection and diffusion of technical information and innovations by using the association’s web site, newsletters, conferences, seminars and any other convenient initiative. Art. 4. The Association ETS is open to any person interested in the achievement of the institutional missions of ETS and sharing its spirit and ideas. Therefore members can be individuals who are experts, researchers, technicians, teachers involved in the turf grass sector. Also companies, laboratories, institutes and scientific societies, governmental institutions can become members when represented by eligible individuals. The members’ number is not limited. ETS is open to individuals from any country. To become a member there is a membership fee to be paid at the subscription (with the petition) which is valid also as payment for the first year, and then an annual fee. Funds originating from fees constitute the financial support for the association’s activities. Ordinary members: individuals paying a subscription fee una tantum and an annual fee. Golden members: individuals and representatives of companies or institutions who contribute to the Association in a significant way, by their activities or financial support, with 3.000,00 euro or more. To preserve their title the Golden members pay an annual fee. Silver members: individuals and representatives of companies or institutions who contribute to the Association in a significant way, by their activities or financial sustain, with 1.000,00 euro. To preserve their title the silver members pay an annual fee. The subscription fee and the annual fee are not refundable, nor transmittable, with the exception of transmission caused by death, and do not revalue. Every year the Directive Committee decides the amount of the subscription and of the annual fees. Members are not personally responsible of the debts contracted by ETS. Art. 5. 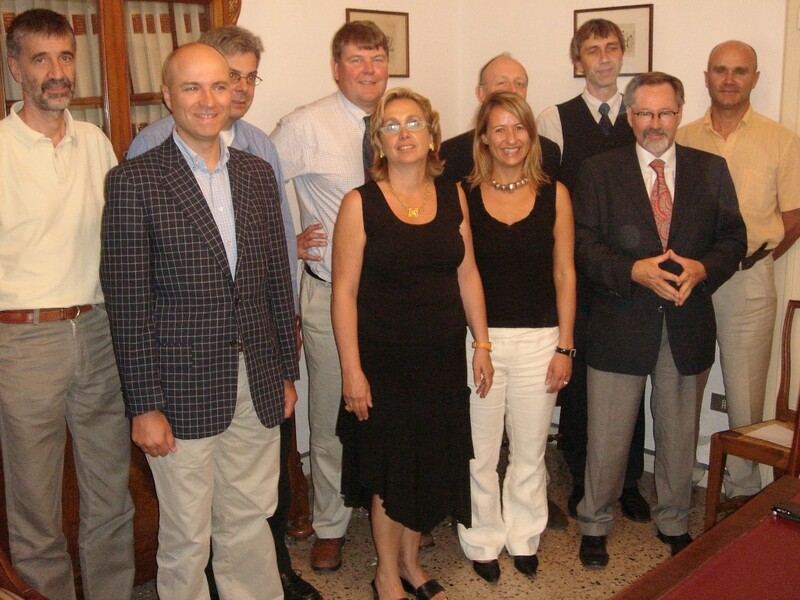 To become a member the candidate has to present a formal petition to the Directive Committee who decides for the admission. The petitioner can appeal against a refusal to a referee committee of three members within 30 days. Art. 6 All the members are required to respect the rules of the Association and the decisions made by the association’s authorities. When a member’s behavior endangers the mission or the patrimony of the Association the Directive Committee must apply the following hierarchy of sanctions: notice, warning, membership cancellation. The membership cancellation follows automatically after one year without paying the annual fee. The membership includes the acceptance of the Statute, of the association’s bylaw, the payment of the fees decided by the Directive Committee. Art. 7. All members, with the exclusion of student members, have the right to vote to approve and modify the Statute and any Association’s regulation, to elect the Association’s Authorities. The right of vote exists even if the Association’s membership is temporary. 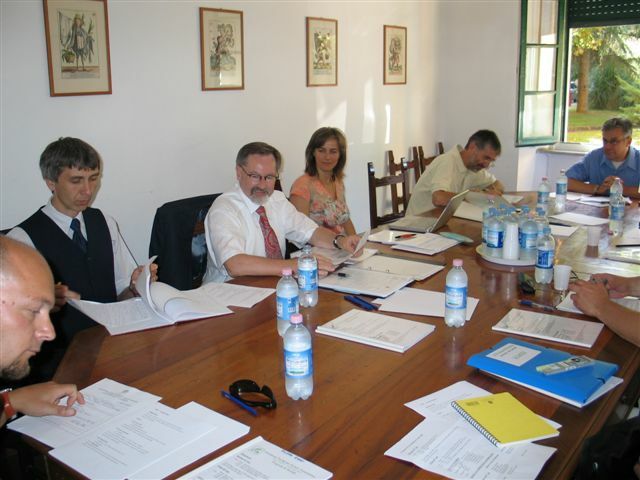 The Directive Committee accepts financial aids, donations and inheritances and decides of their use coherently with the missions of the Association. It is forbidden to distribute, even indirectly, capital gain, interests, residuals, bonds, reserves or funds during the Association’s existence, with the exception of the ones required by law. Art. 9. The financial year begins on January 1st and ends on December 31st of each year. The Directive Committee produces a budget and a final balance. The financial reports must be approved every year by the ordinary General Assembly before the end of April. Budget and final balance must be deposited at the Association headquarters and published on the association’s web site at least 15 days before the General Assembly so that any member can access easily to their content. ETS fundamental Authorities are the General Assembly and the Directive Committee. The General Assembly is the supreme Authority of the Association and includes all the members. The members of the Directive Committee are five including the President, the Secretary, and the Treasurer. For the rules regarding the election of the Directive Committee, the lifespan of its authority, the rights and the duties of the General Assembly refer to the ETS Regulation (bylaw). ETS is authorized to associates itself with other organizations (see ETS Regulation). Art. 11. The General Assembly is the fundamental authority that evaluates and assures the correct management of the Association. It is formed by all the members, each one, independently from their type of membership, has the right to one vote, with the exception of the student members who cannot vote. 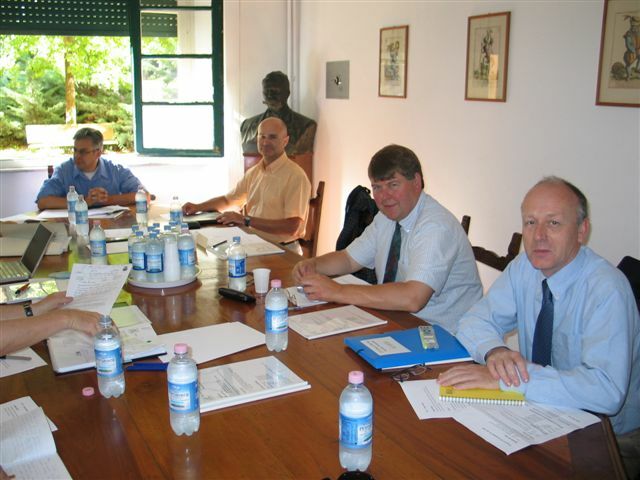 The ordinary General Assembly takes place at least once a year while an extraordinary General Assembly can be held if and when necessary, or on request of the Directive Committee, or of at least one tenth of the members. At the first call, the General Assembly is valid if the attendants are the majority of the members, and its decisions are valid if voted by the majority of the attendants; on second call the General Assembly validity is independent of the number of present members. The extraordinary General Assembly decides, on the first call, according to the presence and positive vote of the majority of the members and, on second call, the validity is independent of the number of present members. The invitation to participate to the General Assembly must be announced by: public announcement exposed at the Association’s headquarters, announcement on the association web site and direct communication to the members at least 45 days before the event. The General Assembly decisions must be made public by: public announcement exposed at the Association’s headquarters, announcement on the association web site and direct communication by e-mail to the members. The extraordinary General Assembly decides about the changes of the Statute and the end of the Association. At the beginning of every meeting the assembly nominates an Assembly’s President and a Secretary who will sign the Assembly’s final record. The Assembly’ President directs the works of the Assembly. Art. 13. The Directive Committee (CD) consists of five members elected, among eligible members, during the General Assembly. The CD meetings are valid when at least three of the five members are present. The CD elected members are not paid and they serve for 4 years. The CD is revocable by the General Assembly with a voter’s majority of two thirds. The CD meetings can be held by teleconference, if all the members are notified on time, if all confirm the notice of reception, and if the connections are such that at anytime all the members can listen and communicate with all the others. 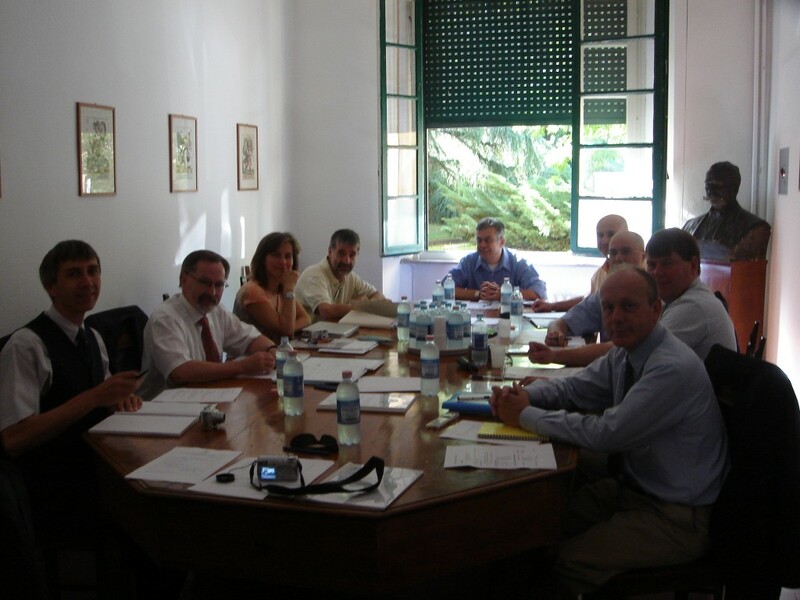 to define the working plan and realize the Association activities coherent with its missions as listed at the Art. 2 of this Statute. The Directive Committee decides by simple majority, with the positive vote the majority of the attendants. Each CD meeting has to be reported and published at the Association’s headquarters and on the association’s web site. Art. 15. The President’s tenure lasts 4 years and he is the legal representative of the Association. He calls for and directs the CD meetings, signs every administrative act of the Association, he can subscribe and end bank and postal accounts and can collect takings. He appoints the members to the authority to conduct activities of various kinds with the approval of the CD. Art. 16. The Auditor General Board consists of three members elected by the General Assembly and cannot include any CD member. The Board verifies the formal and substantial correctness of the financial bookkeeping, writes a proper report that goes with the budget and with the final balance. Their tenure lasts four years and the members can be reelected. Art. 17 The end of the Association is decided by the extraordinary General Assembly. The residual patrimony of the Association must be devolved to other associations having similar missions or to the public utility, consulted the Control Agency as required by the art. 3 comma 190 of the Italian law 23.12.96 n. 662. Art. 18. All the elected members are not paid for their services. The CD and The Auditor General Board members are refunded of the documented costs required to undertake the association’s duties. Art. 19. Changes to the present Statute can be promoted by ordinary members by a proposal signed by at least three of the CD members, or at least by the votes of 10% of the ordinary members. Art. 20. Any eventuality not provided in this document follows the rule of law. Art. 21. The previsions of the ETS Statute are realized in agreement with the actual Association’s Regulation (bylaw).